Is it just the physical techniques or is there more? Let us ask ourselves; does the physical alone accomplish what we want in life or is there a certain mental part that is necessary? Are the strongest people the most successful in life? Does the fight always go to the strong? When students come to Israel as part of our "Tour and Train" program they get more than just hands-on personal Krav Maga training. They learn the spirit behind Krav Maga. One of the important sites to experience on our Tour and Train program is the Yad va Shem Holocaust memorial museum. I cannot even begin to describe the experience on paper. During the course of your tour of Yad Va Shem you will see many artifacts and have many video clips to chose from. There is not enough time in one visit to see it all. The clips deal with personal testimonials about the Holocaust and World War Two. There is one clip that I consider mandatory; you cannot leave without viewing this one. As children we are taught not to "generalize", that there are good and bad people in every group. Clearly during this time period the German, Polish and Ukrainian people stand guilty of crimes against humanity. These crimes can never be forgiven or forgotten. However, not all of these people were guilty, and not only these people were guilty. the guilt was shared by many, and it was not limited to our enemies. Allow me to introduce Jan Karski. It is the video featuring Jan Karski that I will not allow you to miss on this tour. Karski was a polish resistance hero. He was born in 1914 in the city of Lodz, earned a doctorate in law and diplomacy and became a Polish diplomat. When the war broke out Karski served with the Polish army as a cavalry officer. He was captured by the Soviets but managed to escape and joined the resistance movement. Gifted with a photographic memory he brought information to the Polish government in exile and to the Western powers. At great personal risk he entered the Warsaw ghetto, met with Jewish resistance fighters and saw the horrific situation first hand. He also saw Nazi Death camps and witnessed the torture and murder of Jews. It was this first hand information that he brought to the leaders of the free world. He confronted them with the facts. They could no longer claim they did not know. "Maybe they did not believe, maybe they thought I was exaggerating" Karski said many years later. At Yad Va Shem you will hear Karski and his powerful, elegantly spoken words. He met with Churchill, Anthony Eden, President Roosevelt, even American Jewish leaders, but none were willing to take action. Karski always remembered the words of the starving Jews in the ghetto, "Tell them, tell them all that you saw." Karski was a voice of morality in a world that did not care. To understand Israel, to understand Krav Maga, you must hear Karski speak. After the war Karski settled in America. Years later he married a Jewish woman, a survivor. Most of her family perished in the Holocaust. She eventually committed suicide, no longer able to live with the memories. She thus became yet another victim of the Nazis. They had no children. In 1981 Karski said, "The Lord assigned me a role to speak and write during the war when -- as it seemed to me -- it might help. It did not ... . Then I became a Jew. Like the family of my wife -- all of them perished in the ghettos, in the concentration camps, in the gas chambers -- so all murdered Jews became my family. But I am a Christian Jew. I am a practicing Catholic. Although I am not a heretic, still my faith tells me the second Original Sin has been committed by humanity: through commission, or omission, or self-imposed ignorance, or insensitivity, or self-interest, or hypocrisy, or heartless rationalization. " In 1995 he said, "It was easy for the Nazis to kill Jews, because they did it. The allies considered it impossible and too costly to rescue the Jews, because they didn't do it. The Jews were abandoned by all governments, church hierarchies and societies, but thousands of Jews survived because thousands of individuals in Poland, France, Belgium, Denmark, Holland helped to save Jews. Now, every government and church says, 'We tried to help the Jews,' because they are ashamed, they want to keep their reputations. They didn't help, because six million Jews perished, but those in the government, in the churches they survived. No one did enough." Karski was honored by Israel as a "Righteous Gentile" and became an honorary citizen of Israel. At Yad va Shem there is a tree planted in his memory. 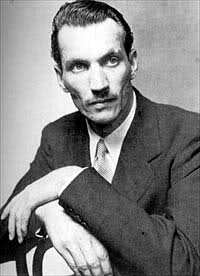 I want you to remember this name, Jan Karski, Righteous Gentile, of blessed memory.